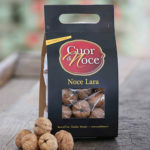 The walnut is a fruit with multiple beneficial properties and a pleasure which can be enjoyed every day. The cost of shipping is € 10 for orders up to € 149.99; Free shipping on orders from € 150. Delivery, by GLS courier, in 2-3 working days from receipt of payment. Payment methods: bank transfer; credit card; PayPal. The solution for those who love simple cooking and have limited time. Thanks to the already weighed ingredients and simple recipe that you find in the package, preparing biscuits is childsplay! 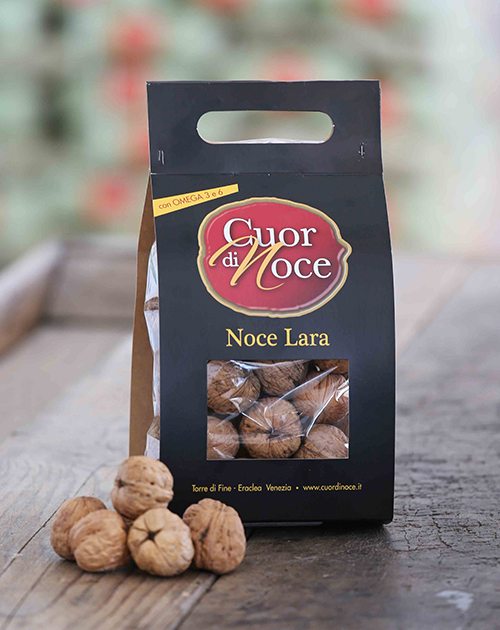 Dried Lara variety walnuts (30%) and acacia honey (70%) 100% Italian. Crispy and crunchy: the perfect combination to accompany tea and coffee. Nussen Biscuits offer a good balance and are ideal for starting the day with energy. The walnut is a fruit with multiple beneficial properties and a pleasure to be enjoyed every day! A perfect balance between the softness of the shortcrust pastry and the crunchy texture of the walnuts. The sweet taste of the apricot and the intense taste of the walnuts blends in a delicious way: a tart with apricot jam and walnuts. Rye flour is rich in fibre, provides a great supply of minerals, is full of energy and light. Segalini biscuits have a rustic aroma, ideal for those who want to eat a balanced diet with little fat. Tasty traditional biscuits. Their name derives from the use of the whole yellow flour that gives the Polentini biscuits an perfect crunchiness.